There are few things we love more than books in our house. 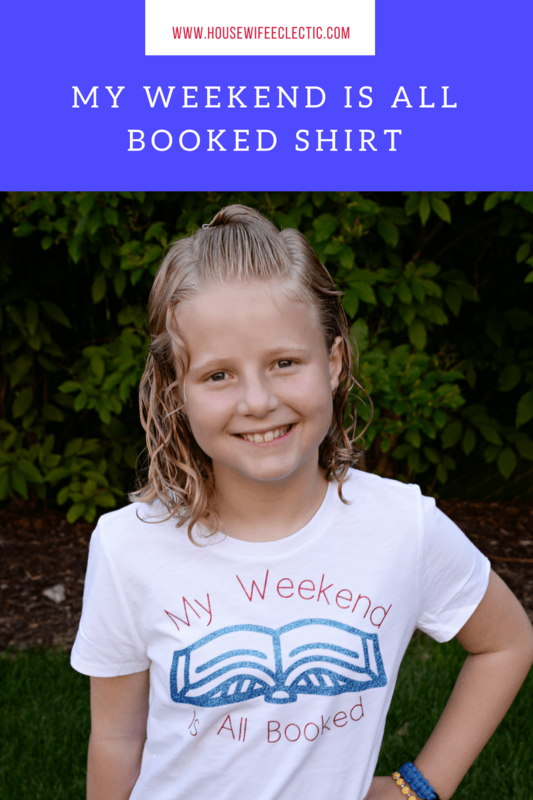 To get my kids excited for the new school year, we went through and made a bunch of fun reading shirts using different techniques in Cricut Design Space. This was the second one I made for my older daughter. She loves it! It is a little glittery and a lot of fun! To make life really easy, you can find my cut files here. Follow the instruction below for resizing or creating from scratch. 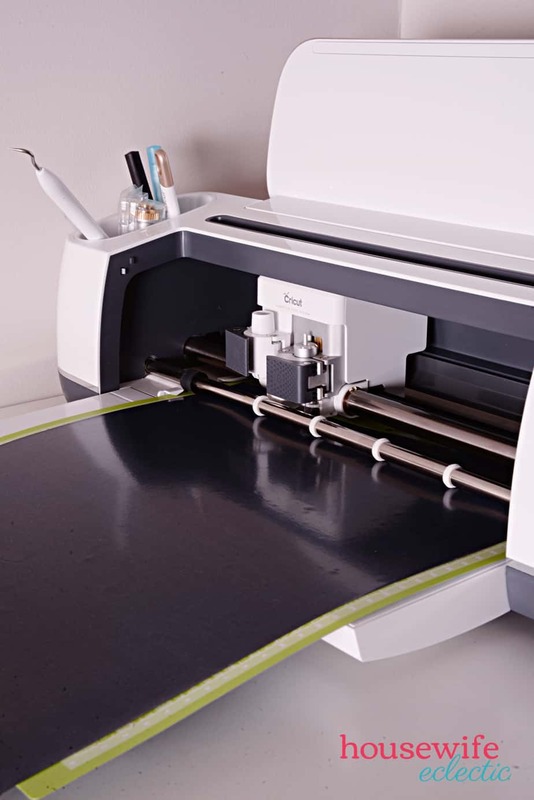 Open up and sign into Cricut Design Space. Your screen will look similar to the above. There will be a top banner, followed by a banner of your latest projects. You can see some of my most recent projects on the screen above. Below that will be the Make it Now projects. Hit the green plus sign next your projects to get started. Your new project will open up for you as a blank grid. Click on the images tab on the left-hand side of the screen to start this project. First search for books in the top right corner search bar. Select the book in the top left corner and insert it into your project. Add text by hitting the text button in the far left menu. A text box will pop up and you can type what you want the project to say. 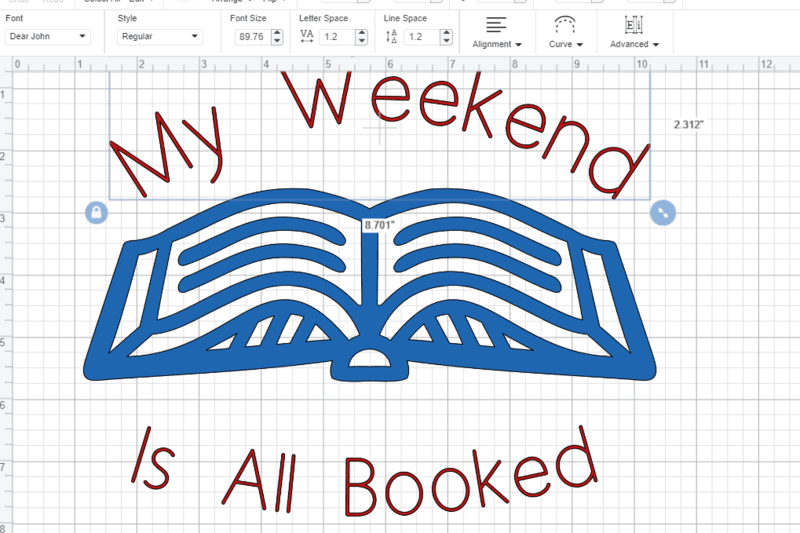 For this project, you will type My Weekend in one text box and Is All Booked in another. Resize your image until it is the size you want it to be on the shirt. For my 9-year-old, my book image is about 8 inches wide. Then resize the text so it fits over the top of the book image. 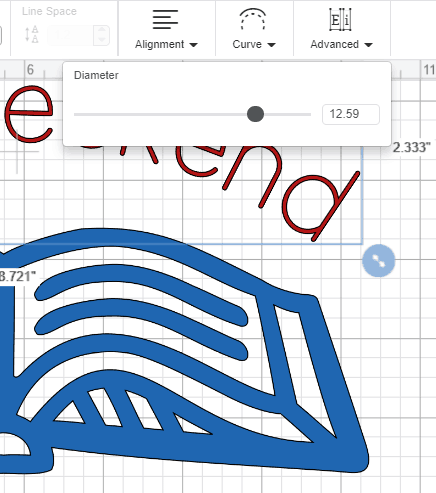 Select the text you want to curve and slide the diameter bar to the right to curve your text down and to the left to curve it up. Slide the bar until the text looks like you want it. For this shirt, we are just curving the words slightly into the book. When your project looks the way you want it, it the Make It button in the top right corner of the screen. Hit the mirror image button on the right-hand side, your project will flip on the screen and look backward. Make sure you hit the mirror button on both the red and blue mats! 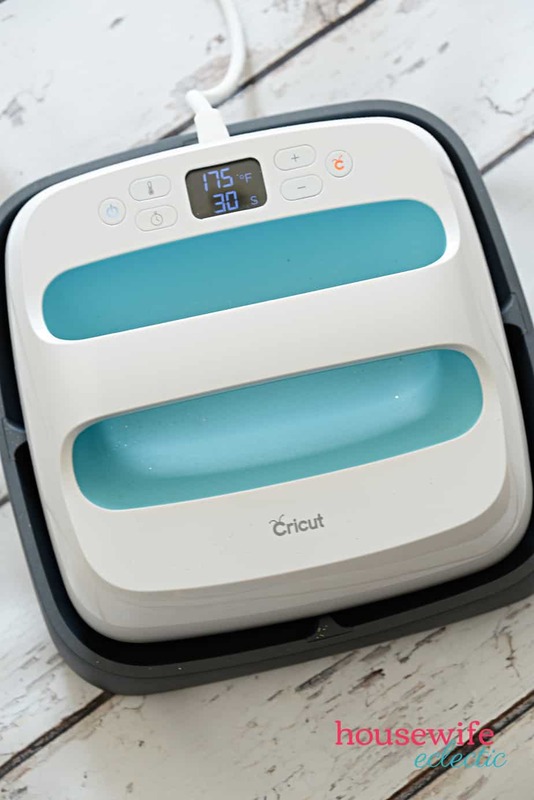 Place the Iron on shiny side down onto your Cricut mat and then load your mat into your machine, spin the dial to iron-on and hit the flashing Cricut button. Peel the heat transfer off of your mat and then weed (peel apart) the iron on until just your design remains on the sticky backing. Heat your iron up to the hottest setting or you EasyPress to 305 degrees. Place the book design sticky side down onto your shirt. Iron straight onto the plastic, making sure each element of the design gets 30 seconds of pressure and hit. Start pulling up the plastic backing and if any of the elements pull up at all, put the plastic back down and iron that area again. Peel the plastic off and then repeat with the words. 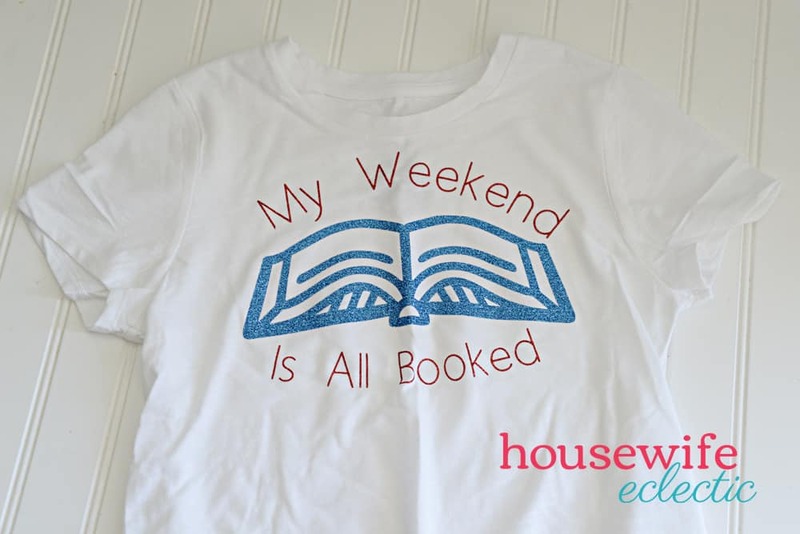 Is there a book lover in your life that would love this shirt?